Homeowners have been struggling for decades, trying to decide between the unique patterns of natural stone like granite and the durability and low maintenance of quartz. Well, we’ve got good news for anyone looking to renovate his or her kitchen and don’t know which way to turn: introducing Cambria Quartz. Cambria is natural quartz that can be utilized as countertops, floor tile, vanities, fireplace surrounds, wet bars, showers, etc. Cambria is excavated from natural quartz quarries and, although Cambria’s designs have the natural look and feel of granite, marble, and other quarried stones, they possess superior performance qualities because of its strength and durability. It is nonporous and will not absorb food and liquids like other natural stones do. And best of all, it is maintenance-free. Because Cambria is harvested like Granite, you can see distinct, unique patterns within the stone. So, if you’re attached to the natural look, Cambria may be right for you. 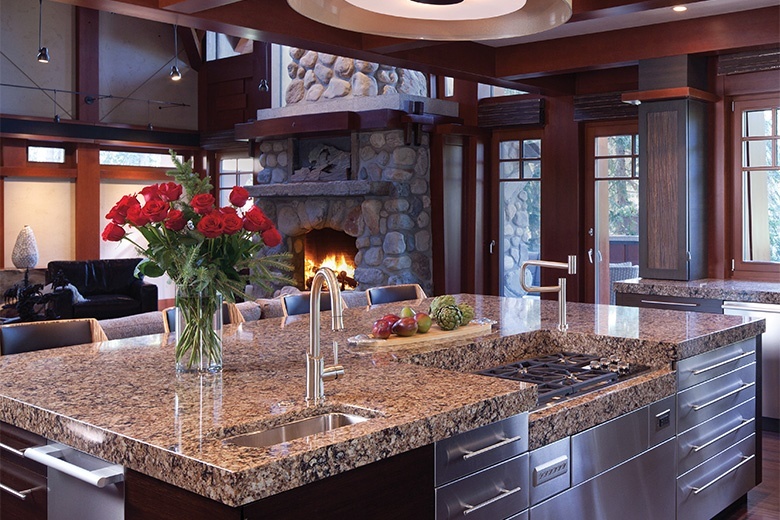 Although it is harvested like Granite, Cambria is stronger with diamond-like hardness. This means that you never have to worry about chips, breakage or visible wear and tear. This is where Cambria gets really interesting. 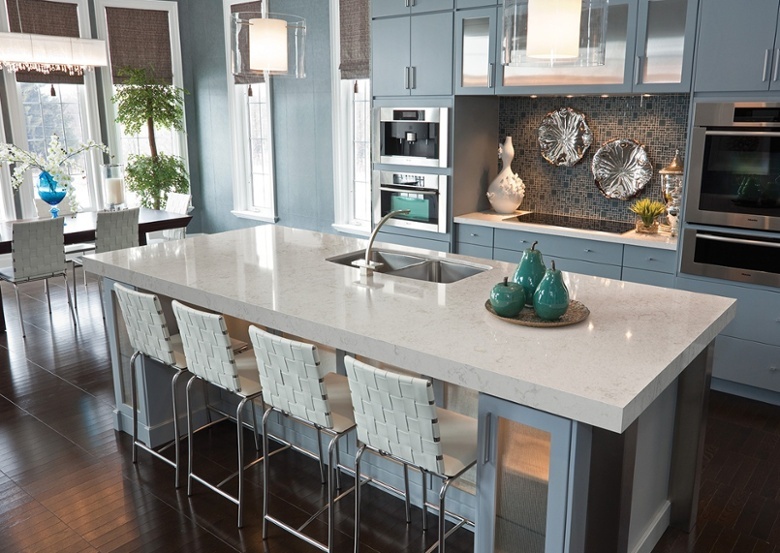 Cambria is one of the only natural stones that require absolutely no sealing or polishing. Simply wash it with warm water and use a mild soap if desired. Cambria is nonporous meaning that food is can’t get into the cracks and allow potentially dangerous bacteria to grow around you and your family. Is Cambria Right for You? 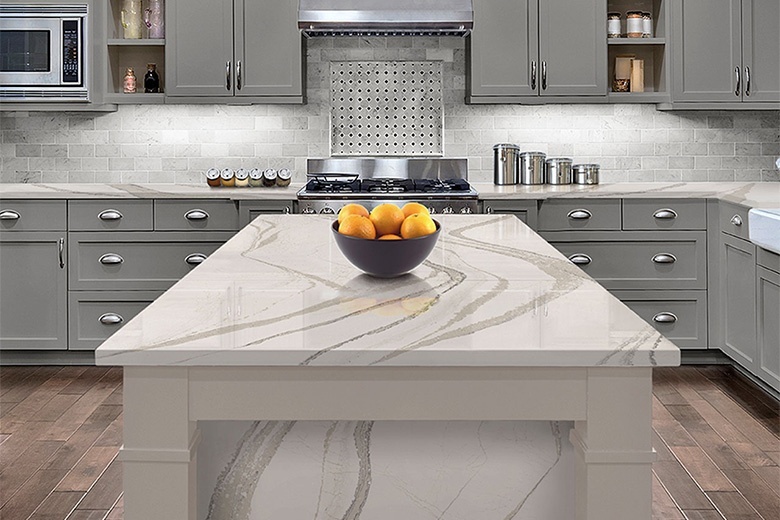 If you’ve been interested in the aesthetic appeal of natural stones but are concerned with the additional maintenance they require, Cambria is the answer to your prayers. This stone contains all the natural unique brilliance of natural, quarried stones without virtually any maintenance.